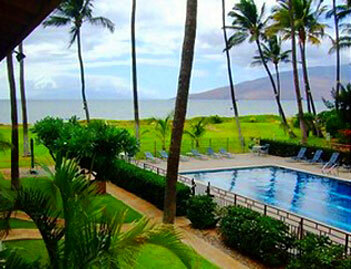 Waiohuli Beach Hale is a lovely, quaint complex in central Kihei. This complex has a relaxed and very Hawaiian feel to it, with a lagoon to enhance it even further. 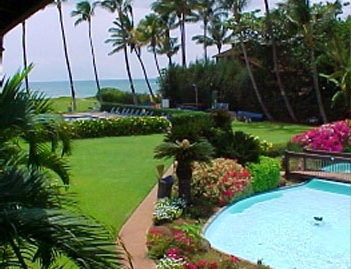 The reef in front of the property protects the beach from large waves. 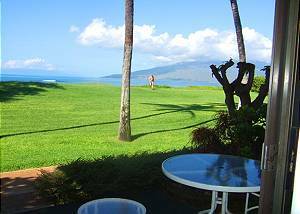 Minutes from the championship golf courses of Wailea and Makena. 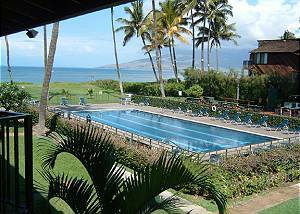 There is a 60 foot solar heated pool, barbecues and shuffleboard located right next to the ocean. 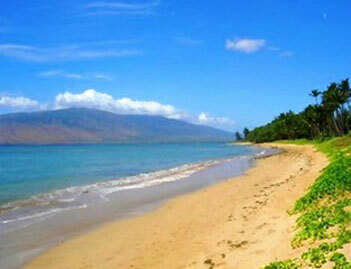 A fantastic price for prime oceanfront property! 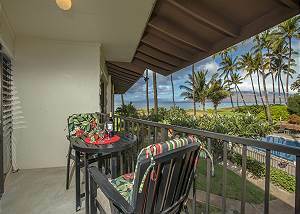 Unit D-117 is a ground floor 1 Bd 1 Bath unit with a tropical garden view from the condo and a partial ocean view from the lanai. 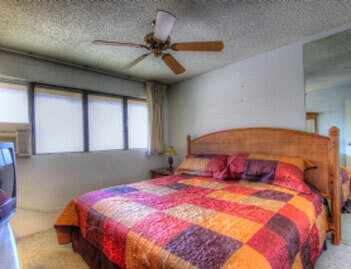 Unit #D-120 is a ground floor 1 Bd 1 Bath unit with a fully equipped kitchen, Cable TV/DVD and wireless internet service. Unit #B-205 is an upstairs ocean view 1 bedroom 1 bath unit with a full kitchen, AC throughout, high speed internet service and can sleep 4. Unit #B-206 is an upstairs ocean view unit with a full kitchen, AC throughout, high speed internet service and can sleep 4. 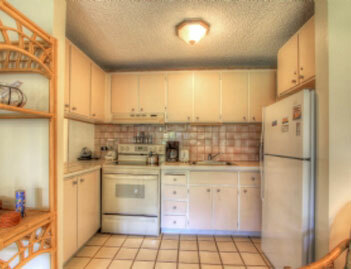 Unit #D-122 is a ground floor 1 Bd 1 Bath unit with a fully equipped kitchen, Cable TV/DVD and wireless internet service. 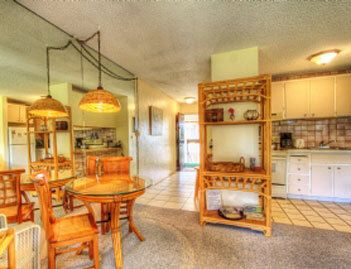 Unit #D-225 is a completely remodeled upstairs oceanfront ocean view 1 Bd 1 Bath condo. 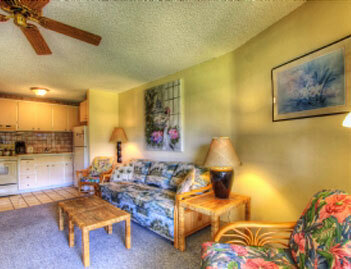 Unit #D-221 is an upstairs ocean view 1 bedroom 1 bath with a full kitchen, high speed internet service and can sleep 4. Unit #D-124 is a 1 bed 1 bath totally tiled ground floor condo with a garden view from inside and from the lanai, which is shaded year around. Unit #D-127 is an oceanfront ocean view ground floor unit that can sleep 4. Unit #D-214 is an upstairs garden view unit with a full kitchen, high speed internet service, room AC and can sleep 4.